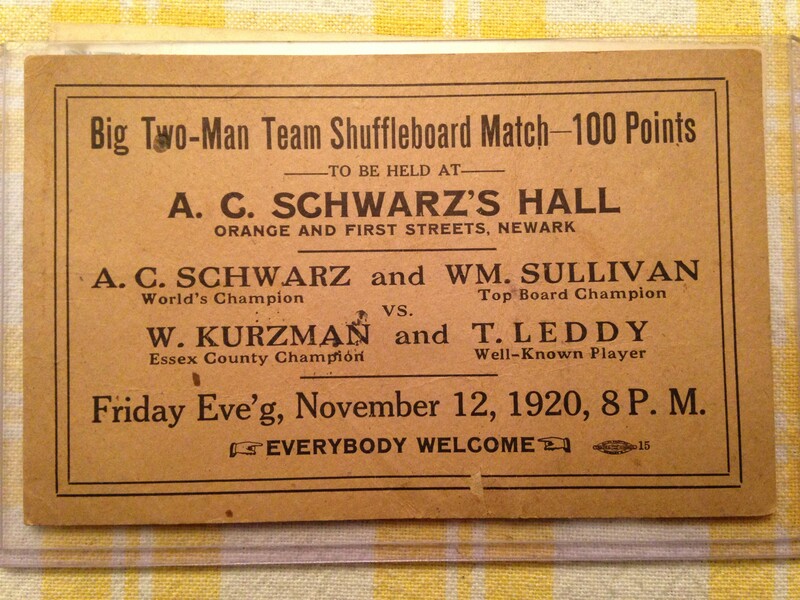 I bought this card promoting this shuffleboard match because it took place in the Roseville Section of Newark where I live. The site of A.C. Schwarz’s Hall at Orange and First Street is now occupied by an elevated section of Route 280. ← The Arena C.L. Schweitzer, prop.